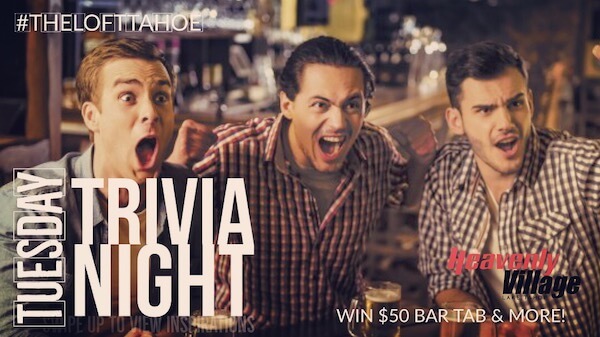 Tahoe Blue’s Trivia Nights. Hosted weekly by Tahoe’s local superstar AJ! Join us for prizes up to $300 and Tahoe Blue drink specials all night long. Grab your friends, we’ll see you at 9 PM Tuesdays!